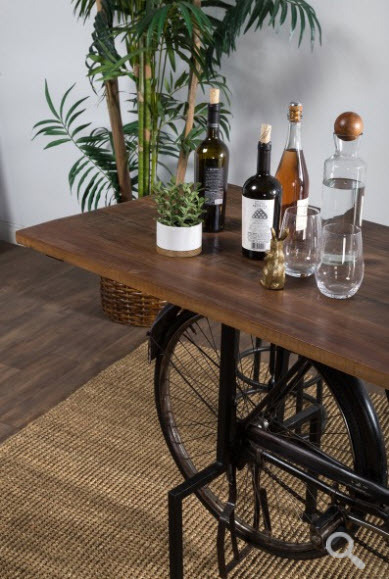 Bicycle Gathering Bar Height Table - Reclaimed Wood Top & Bike! The Bicycle Bar Height Gathering Table is made with a reclaimed wood top and a salvaged commuter bicycle base. 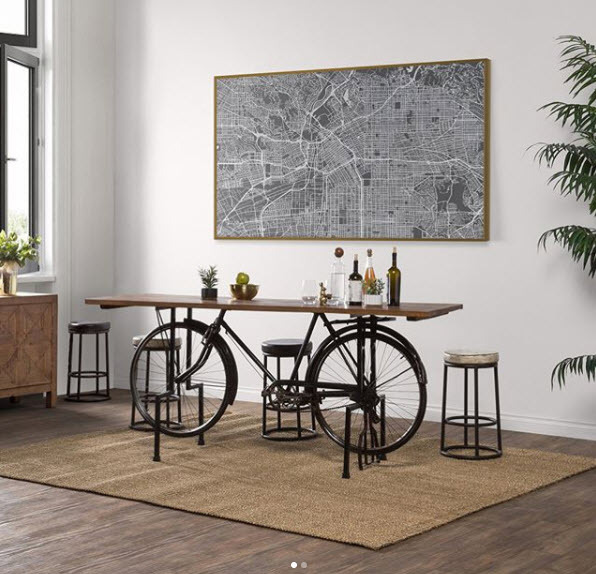 This bike finds new life as a gathering table, bar table, or console table that will serve as an instant conversation piece in your space.